I know it's a little early for Christmas projects however a couple friends had a Elf Challenge on Facebook "Christmas Creations" and I wanted to enter the Jolly old elf himself. 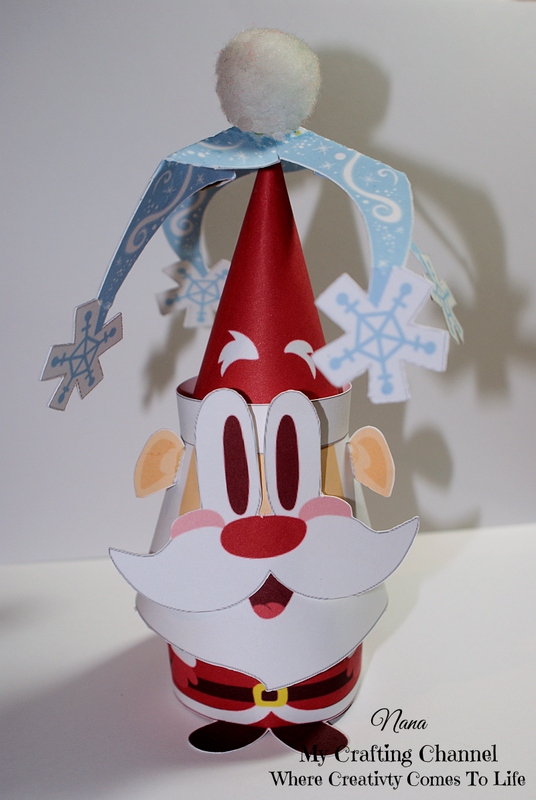 With just a little breath from you Mr. Merry can whip up a cheerful holiday blizzard. This little Santa is just too cute and looks like he is ready to take off into the atmosphere! Oh what a lovely little Santa you made, my grandkids will love him and I think he will fit into my winter wonderland perfectly. This Santa is sooo super cute!!! Have a great day. Oh my goodness...how sweet is he? LOVE! I love your Santa Nana, he is adorable!!!! LOL...love those eyes! !He is ADORABLE!! Not too not early for Christmas!! WOW this is super awesome...love it! !